He's the best there is at what he does.but what he does isn't very nice. And now, Wolverine has broken out of the X-Men and into his own solo series! 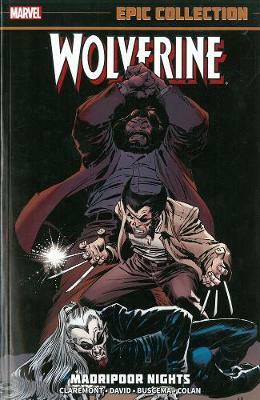 Feeling the urge to cut loose, Wolverine travels to Madripoor, an East Indian island full of pirates, cutthroats and smugglers... just the way Logan likes it! There, he'll take on ruthless crime lord Roche, meet the cunning Tyger Tiger, wield the mystical Black Blade, battle superhuman enforcers Roughouse and Bloodsport, and contend with drug kingpin Nguyen Ngoc Coy and his niece... the former New Mutant known as Karma!